Looking for private in-home or in-studio Flute lessons? Our Levittown teachers are ready to get you started. Find your teacher today! Check out some of our most popular teachers near Levittown, NY including New York, Brooklyn, Bronx, Jersey City and Astoria. I offer my flute students of all ages and levels inspiring and interesting lessons based on classical repertoire, exercises and studies from from the Western European traditions of mostly the French school of flute playing, but also borrowing from the English and German traditions. I work with my students to develop and improve tone quality and pitch control. I guide them through Moyse, De La Sonorite, and Trevor Wye's Practice Book 1 on Tone and note bending exercises. While guiding my students through exercises, etudes and pieces, I strive to sharpen their listening skills by drawing their attention to fuzzy tone, faulty pitch, uneven fingers etc. I use tuners and metronomes in my lessons to encourage these skills and to teach my students how to practice to get great results. Originally from Massachusetts, I have been teaching children and adults flute for over 20 years. I teach from the very beginner student to the very advanced and I have additional training in the Suzuki Method which is especially helpful for beginning young children. 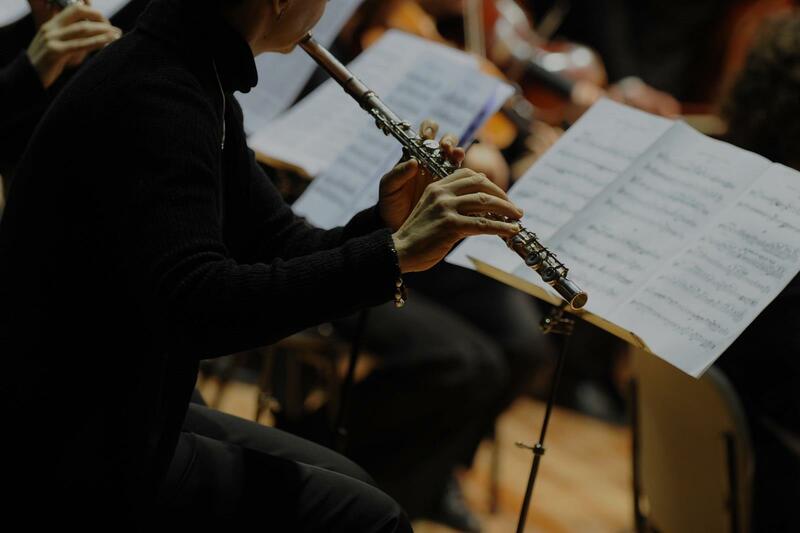 I am primarily a classical flute teacher with extensive experience playing in various classical music settings. the lesson time and also making time in their schedules to practice. Every student is different and has different goals. I consider the differences while I am teaching them. My younger students don't usually know how serious they are about the instrument. For them especially, it has to be fun and interesting. I make every effort to combine my students in small chamber music groups for recitals. Nearly all of my students participate in regular studio recitals with a pianist provided to accompany them. Our son attended a neighborhood concert and was struck with the idea that he’d like to learn to play the flute. We knew absolutely nothing about flutes at that time, but we consider ourselves so, so fortunate that Frannie came to us by recommendation. Frannie is fun and has a great sense of humor. She is endlessly patient and relaxed, but also firm when she needs to be. She always keeps the music interesting for him – for example, after a period of working hard on the pieces in the Suzuki Method repertoire, she encourages him to mix it up and play some things just for fun, like the popular themes to Star Wars and Harry Potter. Our son, now 9, has been studying with Frannie for almost a year now, and I cannot believe how much he has grown and improved in such a short amount of time. Frannie inspires him to play his very best; he works hard to emulate her gorgeous tone. He absolutely loves his weekly lessons, he looks forward to her student recitals, and he is motivated to practice every day. It is a beautiful thing to watch your child fall in love with making music, and we credit this to Frannie. She has our highest recommendation. I took lessons with Frannie for more than ten years, starting at age 4 in an introduction to music class at the Brooklyn Music School. Through her I found not just a great love for music but a lens through which I discovered and learned about the world. With Frannie, once a week for nearly my entire childhood, I would learn to practice and work at a piece or phrase, or to interpret and have and opinion on music I played, or to play like I mean every note, and so on endlessly. Those skills were some of the earliest and most important lessons I had about how to live and enjoy my life, and art, and how to work hard, and care about what I do for my own sake and no one else's. And I don't believe just any teacher could have done that for me. Since moving on I have often felt a different excitement and deep understanding of music than many of the peers I met who have spent far more time than me studying music. I'm still a musician. I graduated recently from Bard College with a degree in music and have since played onstage in a very successful off-broadway musical. I've played in many orchestras including with graduate & conservatory students at Bard, with the New York Youth Symphony Orchestra, and at LaGuardia High School (formerly Music & Art). I have moved on to other instruments, and forms of music, but I credit Frances not just for showing me how much I love music but for teaching me in many ways how to enjoy and get what I want from life. I can't recommend her enough. My daughter Coco studied with Frances for a number of years. Without question Francis was the best music teacher Coco ever had, and she's had quite a few. Francis is generous, creative, and inspiring to work with, she has the perfect balance of qualities that a music student needs. She's highly motivating and makes demands of her students which stretch them to achieve their full potential, yet she never pushes past their limits; Coco never felt stressed by her practice but always wanted to fulfill the expectation of excellence which Francis instilled in her. Francis always led by example and was kind, supportive, and a lot of fun to work with. She's also disciplined, reliable, and punctual. I give her the highest recommendation. Can't find a teacher in Levittown, NY? g to audition for Juilliard in a few years. Frannie understands how to work with children and teens: our son always feels encouraged not squashed, respected and appreciated rather than criticized. After 8 years, he still looks forward eagerly to his lessons. Frannie is unfailingly sensitive, patient, and humorous, and it's very clear she enjoys kids. Frannie is also a remarkable flutist, and our son aspires to her gorgeous sound. As a professional musician, Frannie is able to meet students at whatever their skill level." "Highly encouraging teacher! Rebecca knows how to teach well in tailored format to her students. Impressive!" "Roberta is an excellent instructor, per the fuller review that follows this summry. music on simpler wind instruments. Roberta has guided me skillfully and with compassionate direction since I embarked on my flute journey. She is helping me make the transition from folk instruments to the flute in as painless a manner as is likely to be possible. I look forward to each lesson and am highly motivated to practice in order to continue to derive the full benefits of Roberta's considerable knowledge, wisdom, artistry and instructional skill. When a particular element of a lesson goes well, it is sometimes hard to tell who is the most delighted--the student or the teacher." re's absolutely no pressure and I feel very comfortable even when I make mistakes. I've played flute for a long time but I needed to "fine tune" some things so I definitely picked the right teacher! I would highly recommend Roberta to any flute player no matter what level you're on! (Just a note: Just in the first lesson I learned SO much! I was already sounding better!)" me how to practice them and I made a high chair in the band I wanted to be in. Thank u Sarah!!!!" New York, NY teacher: Sarah A.
in part with the Suzuki Method as well as with standard reading practices. I would highly recommend her to anyone starting out."